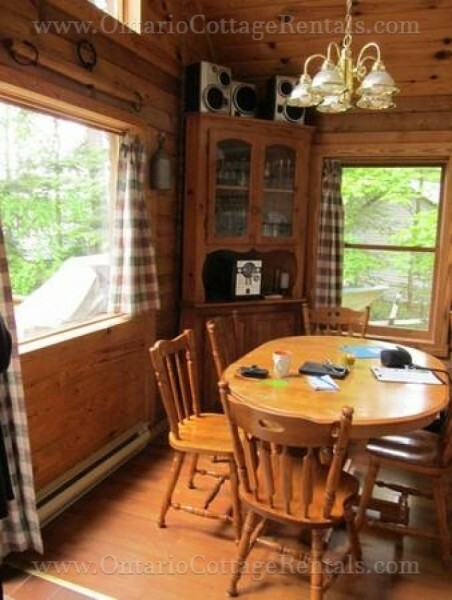 Are you looking for a cozy, family oriented cottage with lots of space for the kids to run around and enjoy country life? 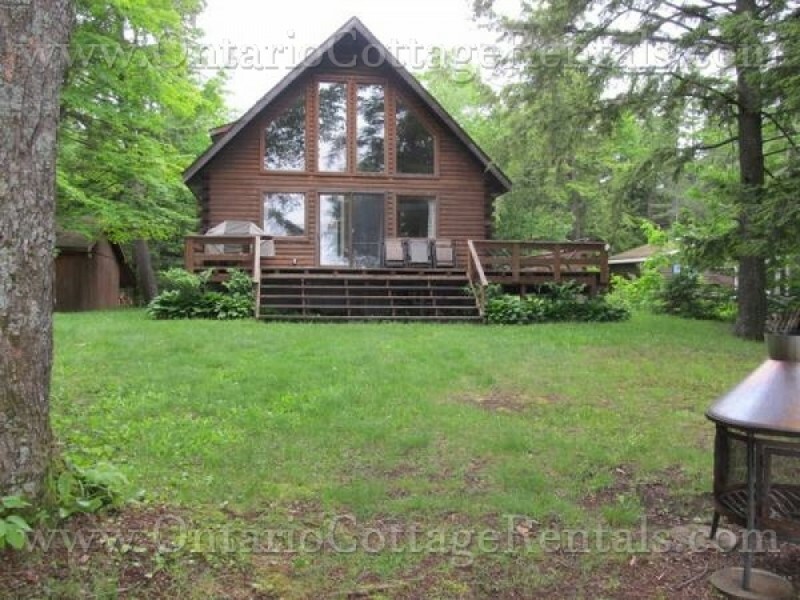 Well, look no further than this lovely engineered cedar log cottage on beautiful Eagle Lake, a large spring fed northern lake with fantastic fishing. 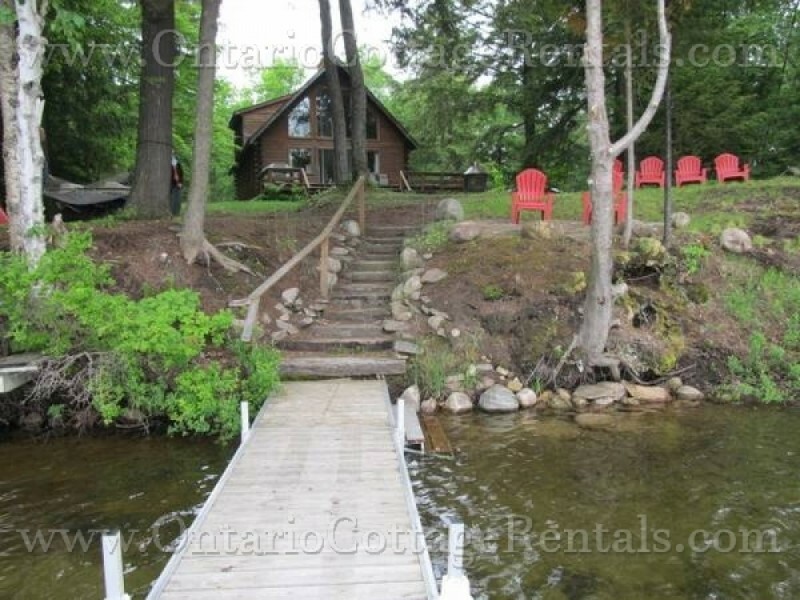 The grassy yard is relatively flat with easy access to the dozen stairs leading to the waterfront and dock. There are 3 steps leading from the side of the dock into the water (depending on the level of the water, you may not need the stairs). The bottom is firm and sandy and excellent for swimming. The dock is 4 X 25 feet with a depth of three feet at the end and has sun all day and you can dock a boat of up to 19 feet. The lake ranges from 20 to 30 feet up to the deepest point of 90 feet. There are perch, pike, wild brook trout, and the lake is stocked with rainbow trout. 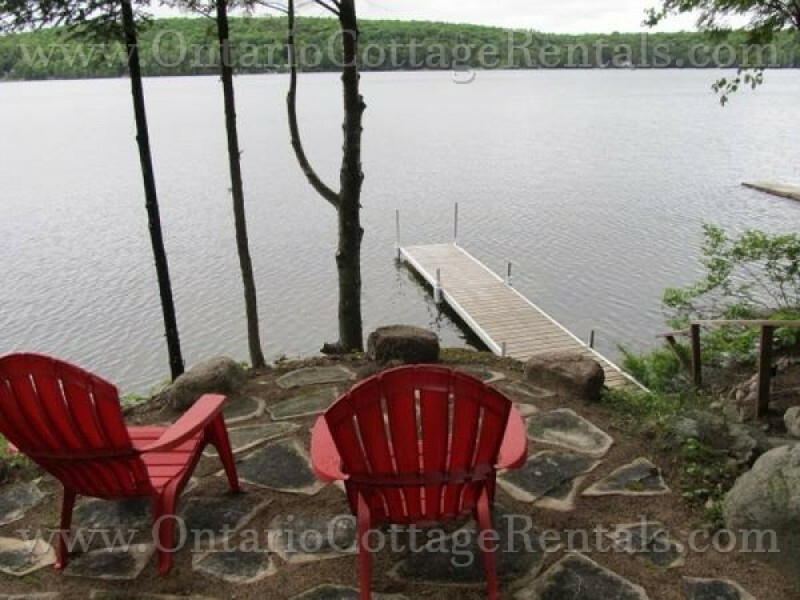 Between the cottage and the lake is a wonderful sitting area with six Muskoka chairs overlooking the lake. 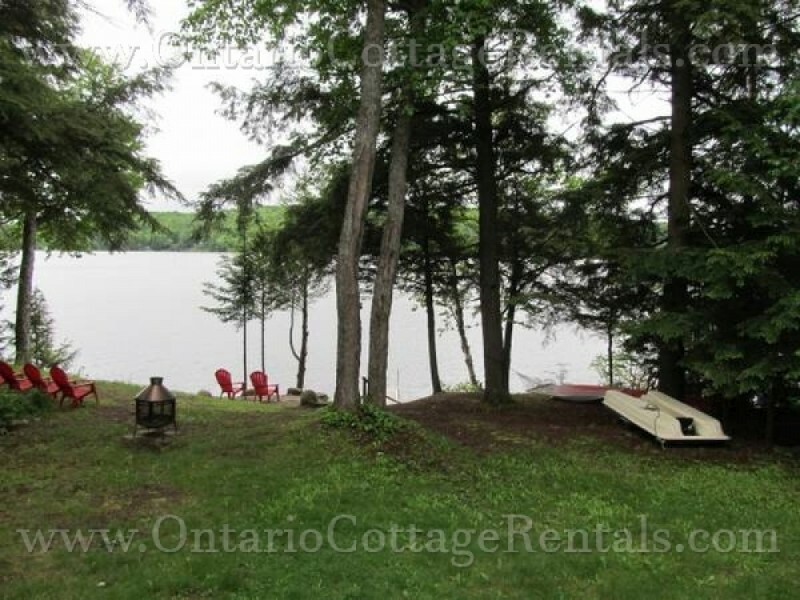 The fire pit is midway between the cottage and the dock and wood is supplied for you. There is a paddleboat and a canoe provided for your use. The entrance through the back door passes through a mud/utility room with a washer and dryer, life jackets, etc. on the way to the kitchen. 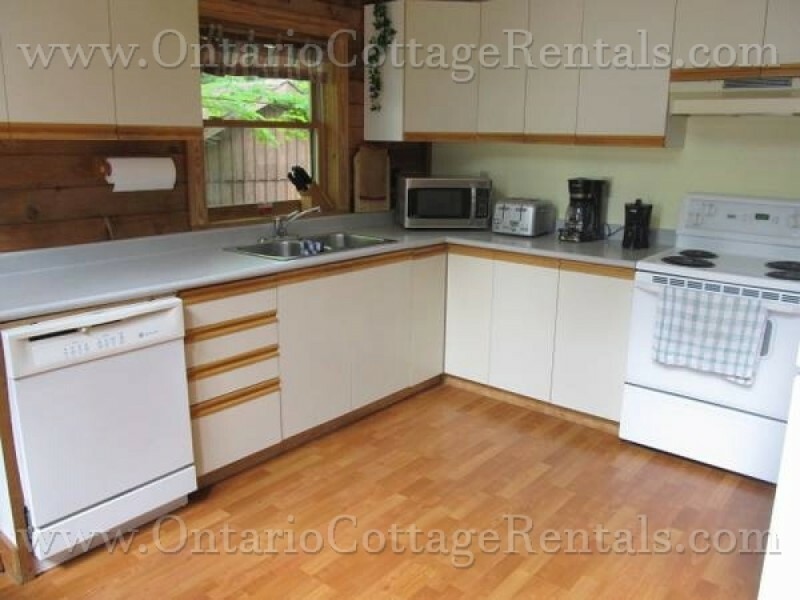 The bright and spacious kitchen has a fridge, stove, dishwasher, microwave, and coffee maker. There are lots of cupboards for storage and counter space enough for all meal preparation. The dining room has table seating for four people. 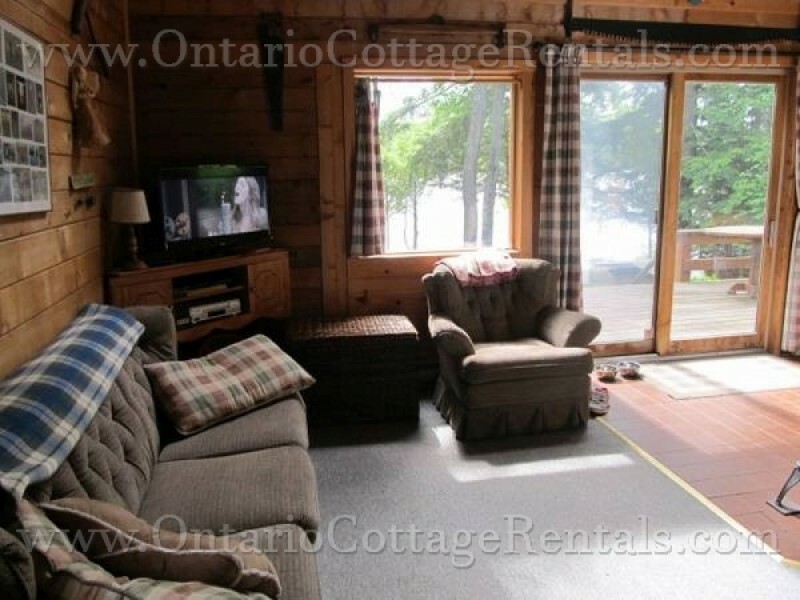 The living room has comfortable seating for six with satellite television, VCR, DVD. There is no internet or cottage phone but cell phones work. 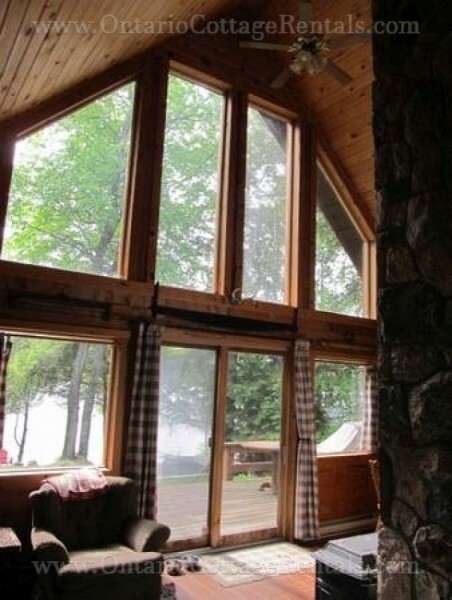 The sun comes in the floor-to-ceiling windows all day so there are ceiling fans in nearly every room to circulate the air in the cottage. 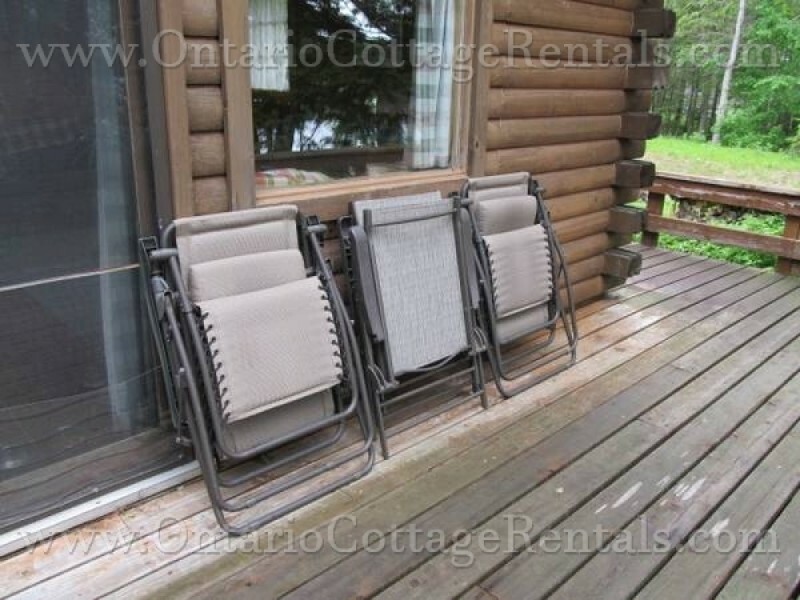 The deck is 10 X 30 feet with a section wrapping around one side of the cottage. There are two loungers and a chaise swing along with table and chairs if extra seating is required. The barbeque is here on the deck. 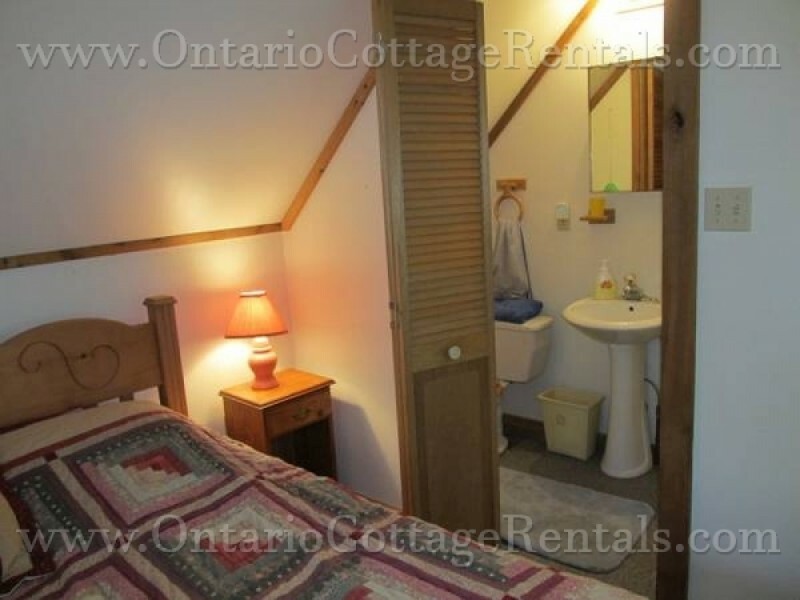 There are cottages on both sides but both are rarely used, so there is a sense of privacy here. Upstairs the large master bedroom has a king size bed and ensuite 3 piece bathroom. 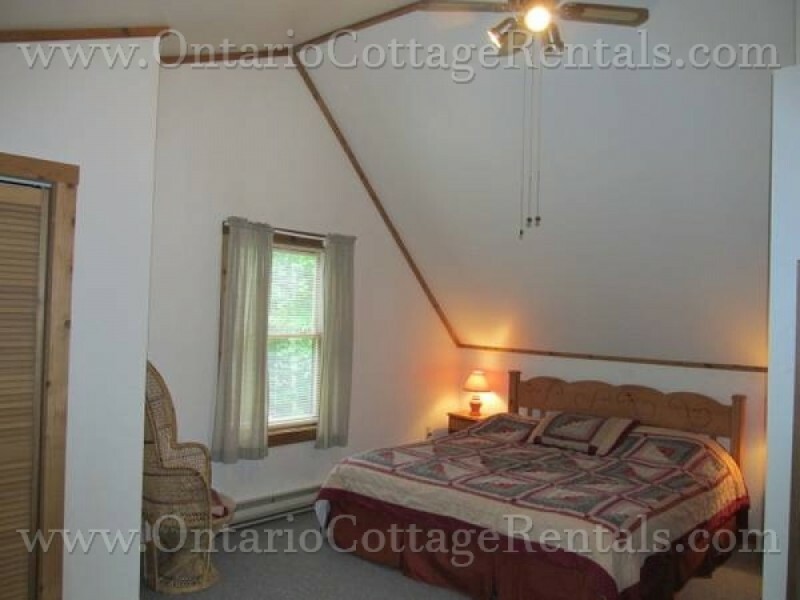 There is a single bed in the loft overlooking the living/dining area. 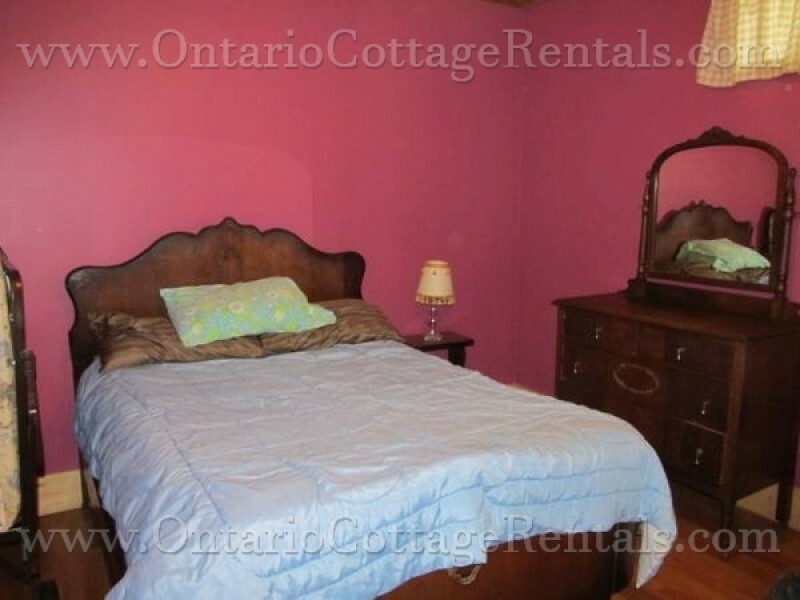 On the main floor is the second bedroom with a double bed. 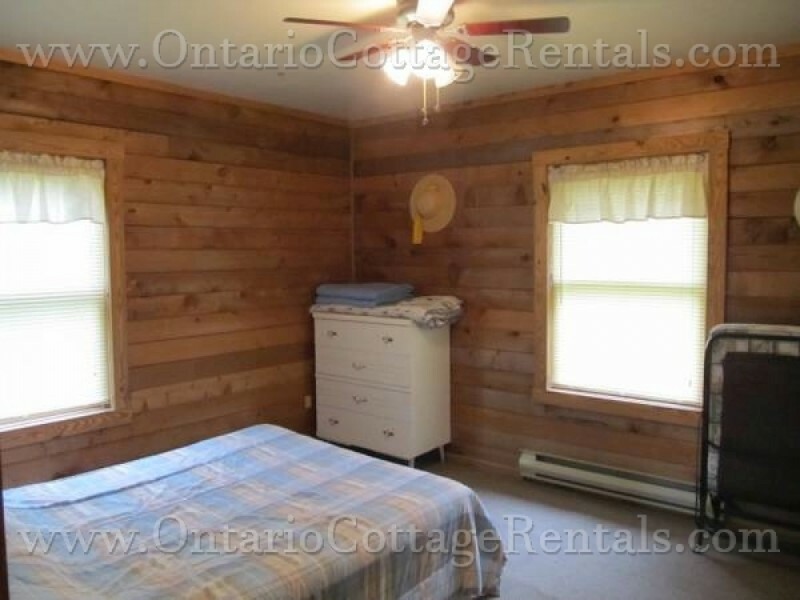 Another four-piece bathroom is across the hall from this bedroom. The third bedroom is downstairs off the games room, and has a double bed. 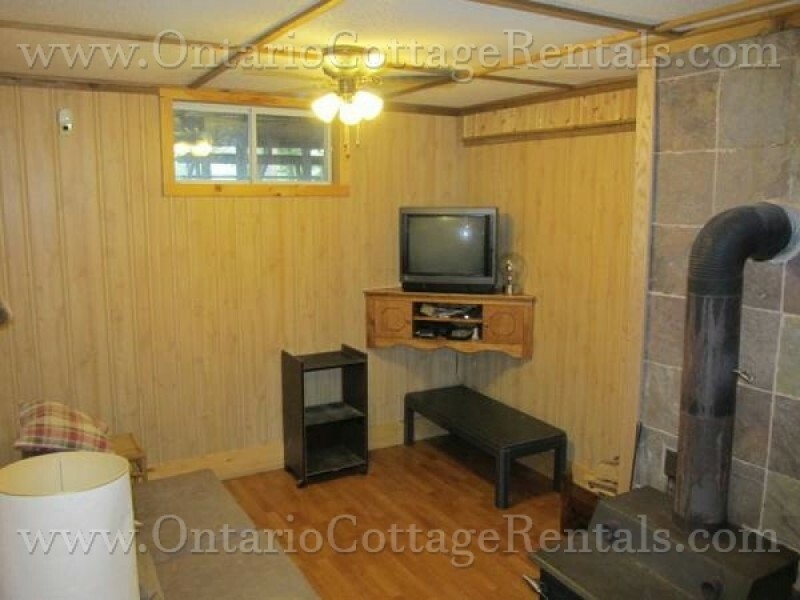 In the basement area you will find a separate little sitting area for two or three people with a television. In the main area of the lower level, there is another couch to seat three or four people as well as a pool table and a foosball table for hours of entertainment. Eagle's Wing will provide your children with a holiday of wilderness and adventure, that memories are made of. High-Season includes the last full week of June to Labour Day Monday, as well as the week of Christmas and New Year's. $730 per Holiday Weekend in Off Season - 3 Night Stay. 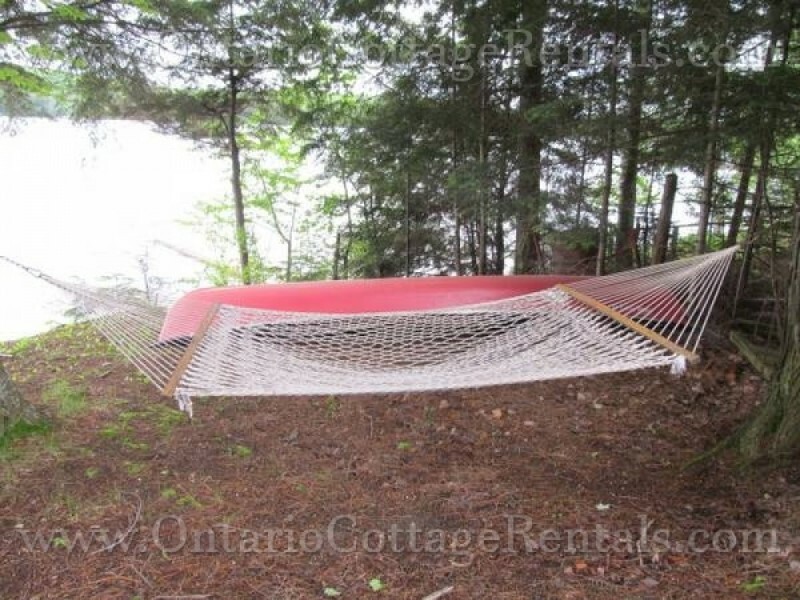 $475 per Regular Weekend in Off Season - 3 Night Stay. $600 refundable security deposit.